What Is a Self-directed Solo 401K? A 401K is a legal tax shelter or basically an employer plan. It is governed and created by the Internal Revenue Code / section 401(k). Contributions are made into the 401k account by the employee and they are often tax deductible. Sometimes contributions are to be made into the employees’ accounts as well, by the employers. Accounts usually will grow much faster because asset growth and investment returns happen without taxation directly on gains or income, and that is usually in exchange for taxation as sometimes individuals distribute funds to their accounts for personal use. For Whom a Solo 401k Is Designed? A Solo 401k is specifically designed for individuals who are self-employed, and they don’t have full time employees other than themselves or may be their spouse. Who Can Have a Solo 401(k)? The self-employed, Sole proprietors, and anyone really who has a business that produces income can have a Solo 401(k). The Solo 401(K) was formed by the Congress in late 2006. How to Use a Self-Directed IRA or Solo 401(k)? It is normal that most baby boomers today want to have a plan for their retirement funding. Two generations ago, the career world has been completely changed, and a guaranteed pension at the end of a lifetime employment is now something from the past. Most people know that the purchasing power of social security benefits will be decreased by inflation so it’s not reliable anymore; however, not all of them want to have a second plan, and many of people in fact still have relied just on the Social Security to be their sole purpose for retirement, it means their retirement years now will be living in poverty. Unlike Roth IRAs, Roth contributions to the Solo 401K is up to $22,000 (depending on age) with no income limits. 401K has higher contribution limits up to $49,000 per person plus $5,500 tax provision if you are over 50 years old while the limit is only $5,000 for an IRA unless you are 50 or over. It has no UDIT tax; this is only for debt-financed real estate, if a person would purchase a property and debt-finance part of it with an IRA, the IRA will still owe UDIT taxes. It has much less onerous prohibited transaction penalties compared to IRAs. 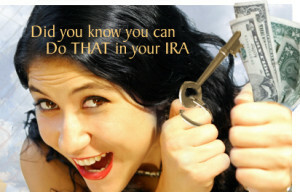 Borrowing from an IRA is not permitted; however borrowing with Solo 401Ks is permitted. Investors or business owners part-time or full-time, have the best chance of controlling the timing and the size of their retirement. If there is an established corporation, a limited partnership, or a limited liability company, the better options would be available. This group of people can control their own retirement destiny because under improved legislation and over time, the range of investment choices have expanded and the dollar limits on contributions have gone up. So instead of relying completely on the stock market which is in most cases unpredictable and risky, reliable profits in the IRA however can be made, besides, the IRA are free of capital gain taxes, so over the years a much faster growth can happen to the total dollar value. Today More Choices are Available than Ever! Today, there are many small business retirement plans that people can take advantage of, they include the IRA, the Solo 401(k), the SIMPLE (Savings Incentive Match Plan for Employees), and the SEP (Simplified Employee Pension Plan). To maximize the Solo 401(k) plan, there are really two components to do so: A) the salary deferral contribution for an employee is up to $16,500, which not to exceed the 100% mark of pay plus $5,500 catch up provision if you are 50 years old or over, and B) a profit-sharing contribution for the employer that comes with a limit up to 25% of pay, for self-employed it is 20% only. From both sources, the total contribution would be $49,000! However, for individuals who are 50+ years of age, it is possible to contribute another $5,500 for a total of $54,500 annual contribution. The self-directed solo 401K and other self-directed accounts can invest in a variety of assets such as real estate, private lending, limited liability companies, precious metals and much more! American IRA, LLC was established in 2004 and currently has over 250 million in assets under administration. They protect your wealth by making sure that all uninvested cash under their administration is stored in FDIC-insured accounts. As administrators, they do not make any recommendations to any person or entity associated with any type of investment. They offer the most flexibility permitted by law, and allow you to control your investments directly in a very unrestricted platform. Their experts can assist you with setting up a Solo 401K.